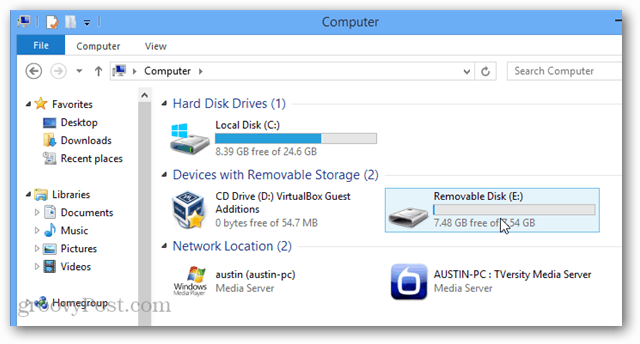 Many users run into problems when it comes to attaching physical media to their virtual machines over USB. This guide will show you the simplest way to make it work. 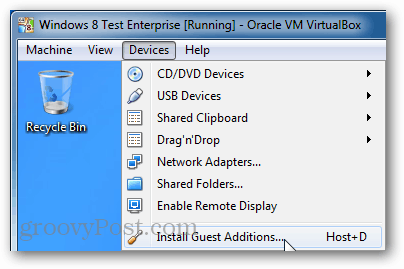 Have you tried attaching a USB device to your VirtualBox virtual machine (VM) only to have it not show up as recognized? This is actually a very common issue, and one that plagued me when I first started using VirtualBox. The problem is mainly that through VirtualBox plug’n’play doesn’t function properly and Windows is unable to figure out what driver the USB device needs. The way to fix it, is to setup the proper filter in VirtualBox settings. In order for mounted USB devices to function, the virtual machine must have Guest Additions installed. It’s incredibly easy to install these, just run the virtual machine and then from the host window select Device > Install Guest Additions… VirtualBox should load a virtual disk with the guest additions setup, if it doesn’t run automatically just go into the virtual disk and launch the installer. 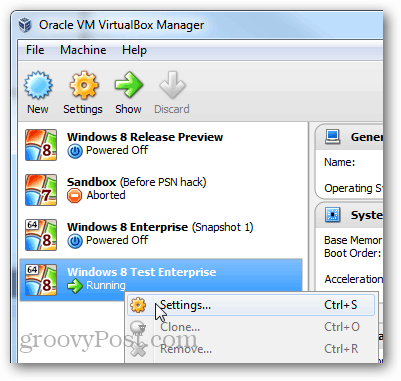 Now go back to the VirtualBox manager and right-click the VM that you want to use the USB device with to open the Settings window. Within settings, browse to the USB tab and click the Add button on the very right of the window. Select the USB device that you wish to use from the list. Once done, click OK to save changes and exit. The USB device should now show up just as it would on your physical computer. And that is all there is to adding a physical USB device to your VirtualBox VM’s. If you have any questions, comments, or problems please check out the Troubleshooting section below and leave a comment further down. Still not working? Try installing the Virtualbox Extension pack. 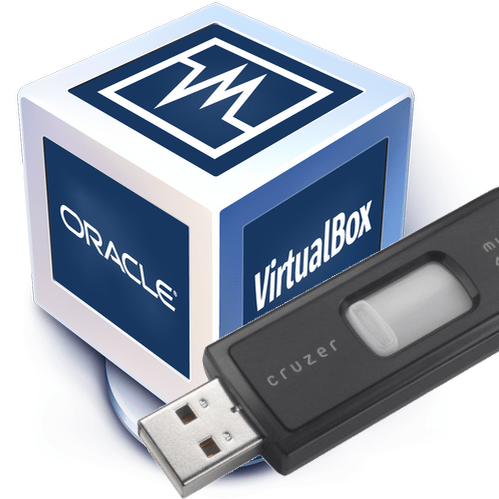 Just download it from Oracle and then run it to let Virtualbox automatically add it. You may need to restart the computer and/or the virtual machine before the mounted USB device will work. Hey Peter, have you tried installing the Virtualbox Extension pack? For me like on Martin. ExtensionPack installed on the HostMashine, not on Virtual one. All usb devices in virtual device manager are with error and not available on Virtual mashine. But they are selected in Devices->USB. 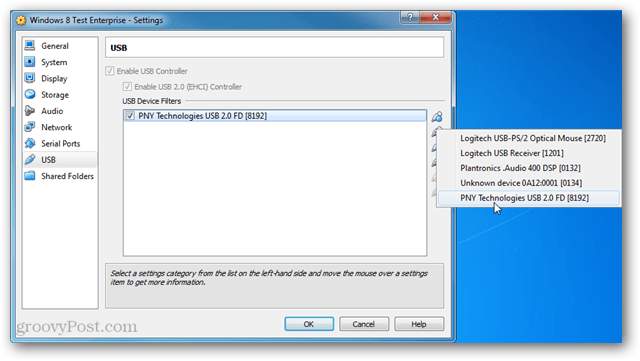 When click over USB device, device unmark and becomes accesible in Host PC. In short words – way is right. I miss some too little to success, but what? Success ! On VirtualBox Settings when virtual mashine turned off select in section USB->USB 2 The choice is between usb 1.0, usb 2.0, usb 3.0). I found selected USB 1.0. Turn on virtual mashine and use the usb device! Can you boot a USB as a virtual machine? I have tried your suggestion and everything seems to work as expected. However, when I got to Device menu on Virtual Machine –> USB devices and click on my USB device it opens up in the HOST Operating system not the Guest. So, what I am doing wrong? I understand that this is an old VirtualBox issue, but I hope you can help me. Thanks in advance. Failed to attach the USB device (USB device name) to the virtual machine (VM name). USB device ‘(USB device name)’ with UUID (UUID) is in use by someone else. Any advice how to fix it? Thanks! no usb is visible in the USB section. I have tried everything. Installed the extension pack, EHCI, EXCI controller. but nothing is going in my way. Although DVD drive is working, just stuck at USB. My settings in virtual box does not have usb, it has everything else. So even add the flash drive to the usb device filter, I won’t be able to add my scandisk. Running widows 10 through a mac host: Devices menus, drag and drop, host to guest. Usb showed up on my mac desktop and I dragged it to my computer in the windows window. The instructions didn’t work for me but gave me enough information to figure out and get this to work. First, the Install Guest Additions command did nothing for me and you have to run this. I found a VBoxGustAdditions.iso in the VirtualBox directory (under Program Files/Oracle) mounted that via Devices->Optical Drives->Choose Disk image. After mounting select that image to bring up windows what to do with image and run the VBoxWindowsAdditions.exe. After that follow the USB mounting instructions above. For me the 1.1 and 2.0 option didn’t work. The 3.0 option Did work.